The ReliaCELL 10-20 is a rugged cellular adapter easily mountable to flat surfaces. Deployable for products sold globally, the ReliaCELL 10-20 offers a distinctive approach to providing cellular connectivity within the M2M, IoT and internet appliance marketplace. With its rugged and small design, it simplifies product development, time-to-market and costs associated with implementing a cellular solution. 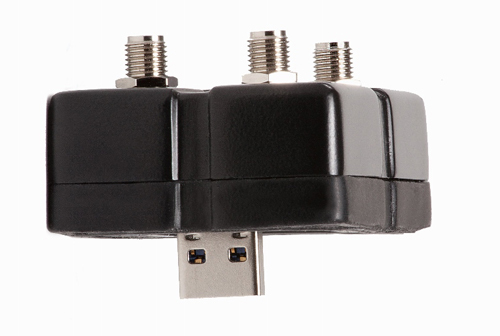 It becomes an easy addition to existing or new applications sealing onto the surface of an enclosure, weatherproof or not, with a simple USB connection and SMA connectors for antennas. Enabling cellular technology is one of the toughest and most time-consuming challenges enterprise customers face and the ReliaCELL 10-20 simplifies this aspect of their solution. The ReliaCELL 10-20 modularizes the cellular component of embedded product development uniquely to allow it to be added to systems without making compromises on ruggedization. Now customers save time and money while avoiding the hassle of certifying with cellular carriers since the ReliaCELL 10-20 is already certified. The ReliaCELL 10-20 is offered in several cellular technologies providing the flexibility to adapt should your product roadmap or application requirements evolve from 2G to 3G to 4G. Simply switching from a 2G to a 3G ReliaCELL solution, for example, will allow you to maintain the key system components of your appliance without incurring significant hardware costs or the lost time and resources associated with recertification of your device. Ruggedized – IP67 Mountable – The enclosure design makes the ReliaCELL 10-20 ideally suited for harsh environments; whether it is indoors or outside, it provides the cellular connectivity for your application or appliance needs. Easy Cellular Technology Migration – The ReliaCELL 10-20’s unique concept allows for easy integration with your appliance or IoT device, swapping ReliaCELL models as cellular technology updates are needed, and avoiding time-consuming redesigns and massive hardware replacement costs. No Cellular Certification Costs – When using the ReliaCELL as the cellular module for your M2M or IoT device, it has all of the cellular certifications completed allowing for rapid deployment of new product developments. 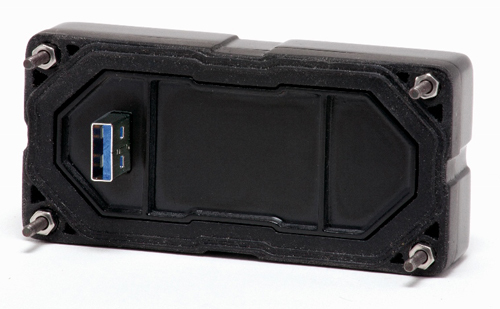 Easy Installation – The ReliaCELL 10-20 is installed to a flat surface through signals of a USB on either a USB 2.0 or 3.0 connector. Once plugged in and screwed on, it is sealed and waterproof, ready for deployment with standard software drivers to enable the cellular connection.